Indian arts & culture is the pinnacle of human civilisation. Devotion and dedication to the almighty is the epicenter of the arts and culture of this great continent masquerading as a country. The fabric of this great culture is composed of knowledge, tradition and culture. The culture of this great nation is deeply influenced by essence of Ramayana, Mahabharata and the Vedas. 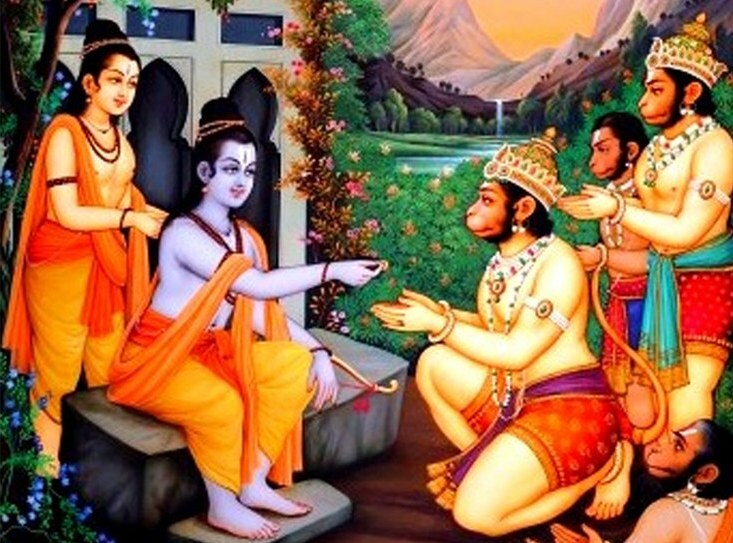 Ramayana is a holy river of wisdom which descended from a mountain of knowledge called Valmiki. 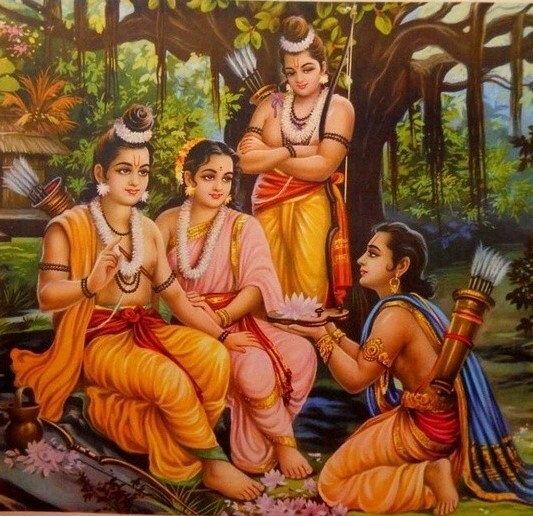 By portraying the duties of relationships, by describing the aspect of idealness and by exploring human values and dharma, Ramayana has registered itself in the hearts of people as the ambassador of the rich and glorious history of this Nation. The word Ramayana is the 'Tat Purusha' compound of the word 'Rama' and 'Ayana' which translates to 'going' and 'advancing'. Every word in this epic echoes the righteousness of the reliever of suffering, the destroyer of evil, the bestower of all riches, the soul of the epic, Lord Sree Rama. Incidentally the first letter of every 1000 verses (total 24) make the make the Gayatri mantra. 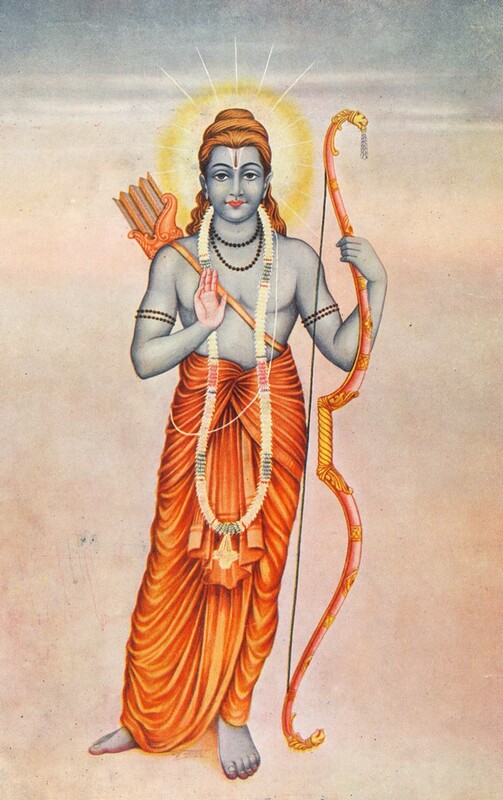 Hailing from the Surya Clan of rulers founded by the son of Manu named Ikshvaku, Rama was the 40th emperor of the mighty Ayodhya dynasty. Verses in the Ramayana are written in a 32-syllable meter called anustubh. 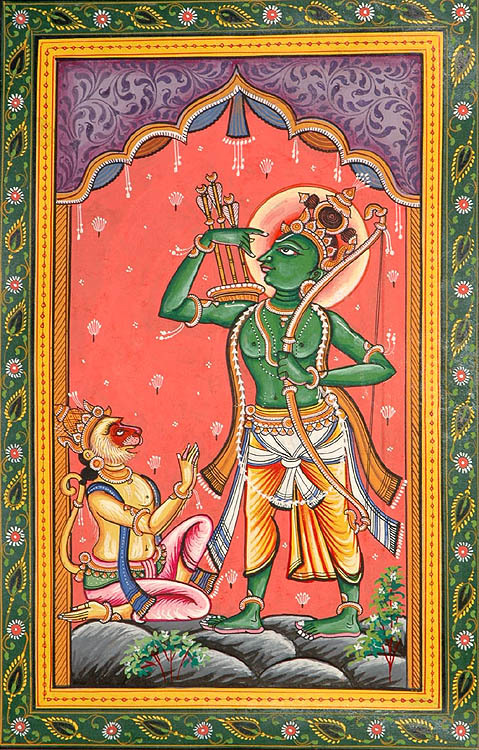 The Ramayana was an important influence on later Sanskrit poetry and Hindu life and culture. 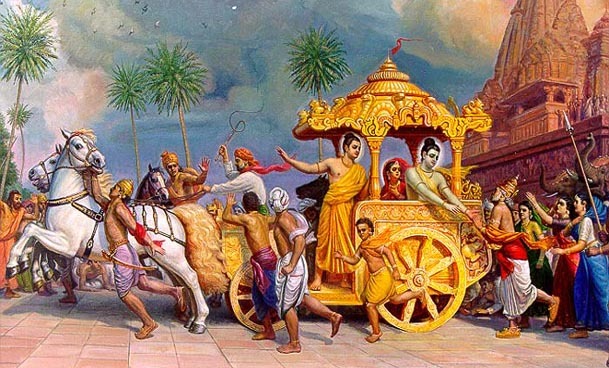 Like the Mahabharata, the Ramayana is not just a story: it presents the teachings of ancient Hindu sages in narrative allegory, interspersing philosophical and devotional elements. The Classical music of India is a celestial and a spiritual path to express one bhakthi towards the almighty. Having its origin from Sama Veda, the classical music of India has played a significant role in preserving, promoting and protecting great cultural heritage of the nation. Indian classical music is both elaborate and expressive. It divides the octave into 12 semitones of which the 7 basic notes are, in ascending tonal order, and Sa Ri Ga Ma Pa Dha Ni. However, Indian music uses just intonation tuning, unlike most modern Western classical music, which uses the equal temperament tuning system. Also, unlike modern Western classical music, Indian classical music places great emphasis on improvisation. 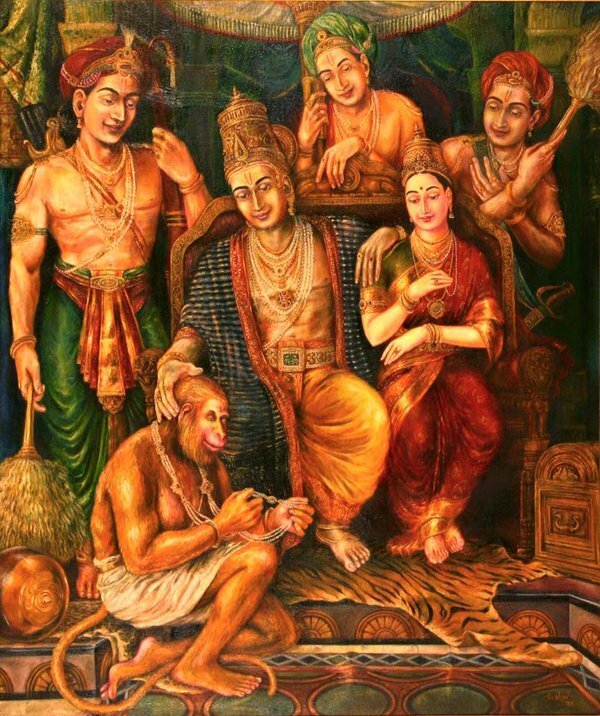 Music was a part of social fabric of the society as described in Ramayana. 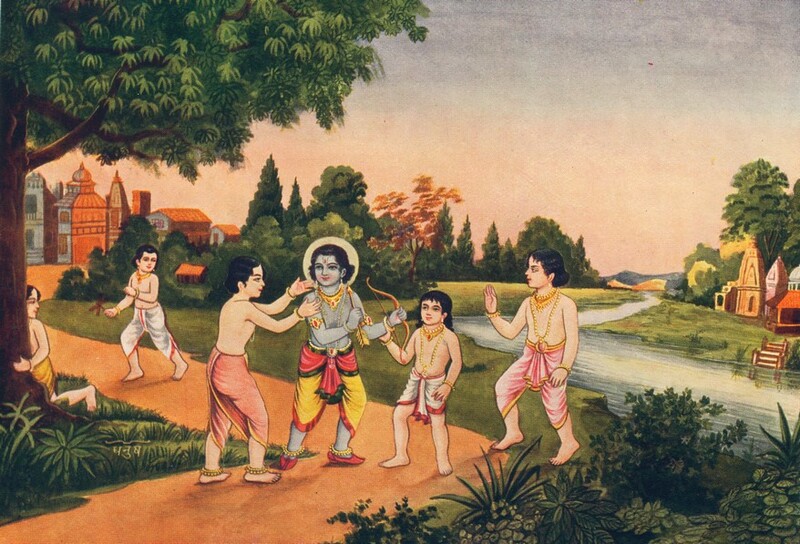 Ramayana is more closely associated with music than any other epic. 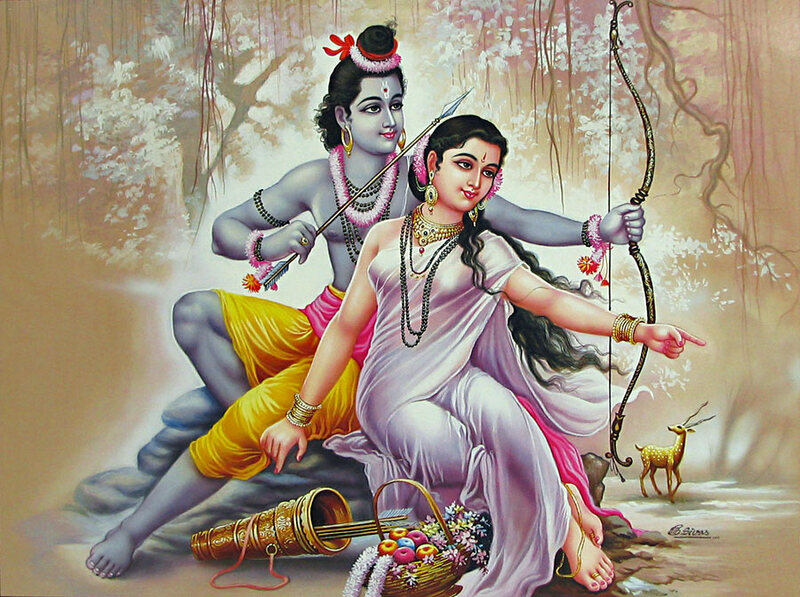 That might be because Ramayana is rendered in verse; and, its poetry of abiding beauty melts into music like molten gold, with grace and felicity. Further, the epic has a certain lyrical luster to it. The epic itself mentions that the Rama tale was rendered in song by Kusha Lava(I.20.10). 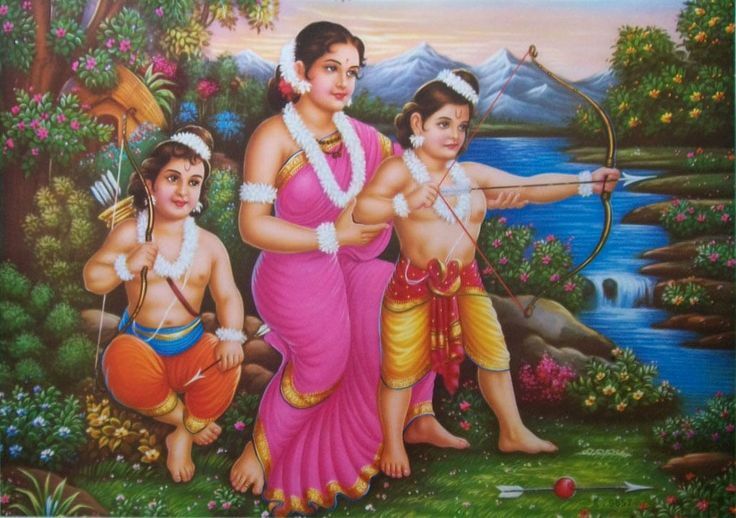 The Ramayana had its origins in folk lore; and was preserved and spread as an oral epic, for a very longtime. It is suggested that poet Vamiki rendered the folk lore into a very beautiful, sensitive and lyrical epic poem by about 7th century BCE. 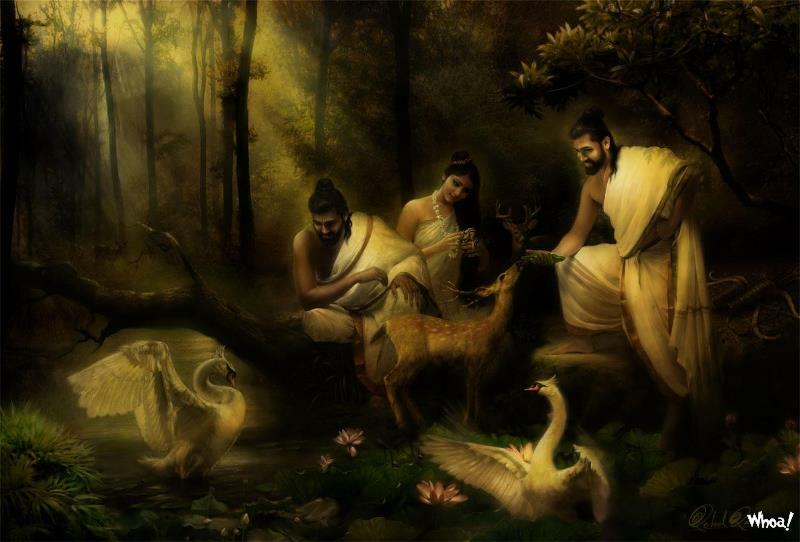 Thereafter, in age after age, the suthas narrated and sang the glory of Rama and Sita, in divine fervor; and spread the epic to all corners of the land and even beyond. 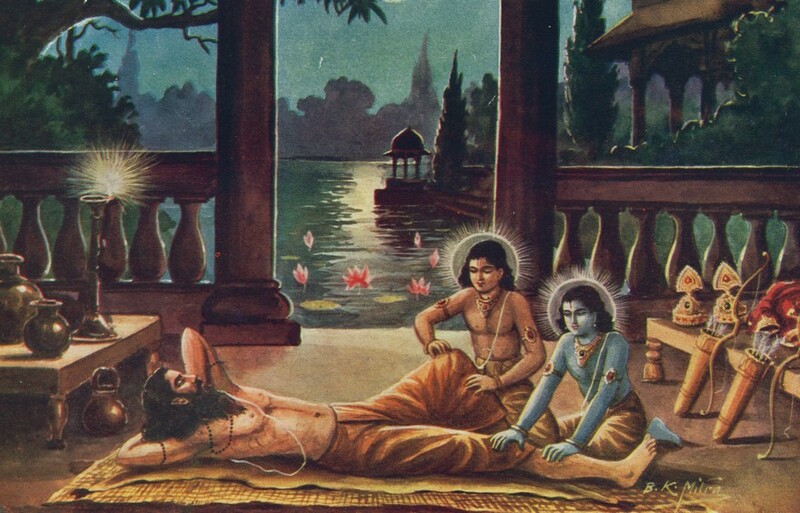 Even to this day , the tradition of devote groups of listeners gathering around a sutha to listen to the ancient story of chaste love between Rama and his beloved, and their unwavering adherence to Dharma amidst their trials and tribulations; is still very alive. 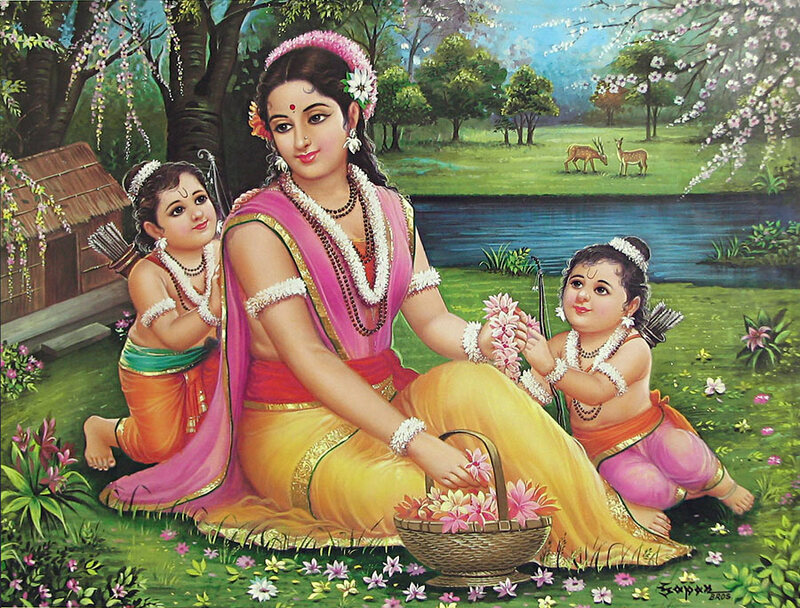 What characterize the Dharma in Ramayana are its innocence, purity and nobility. The Indian people prefer listening with joy, the rendering of Ramayana as musical discourse, to reading the epic themselves. 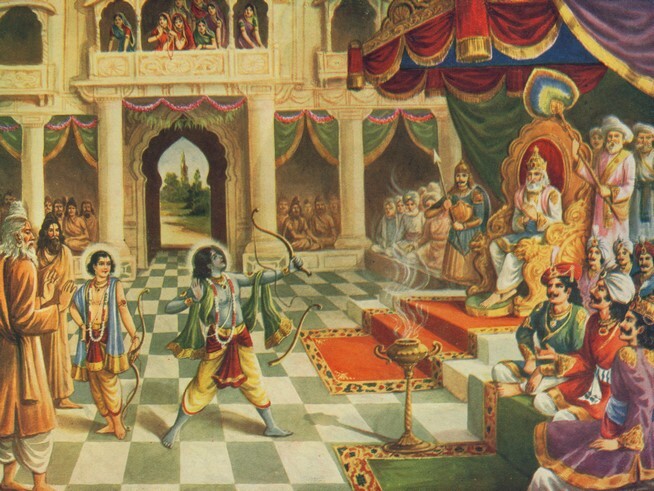 There are innumerable references to music in Ramayana. Music was played for entertainment and in celebration at the weddings and other auspicious occasions; (II.7.416-36; 48.41.69; III.3, 17; 6.8; IV 38.13; V.53.17; VI.11.9; 24.3; 75.21 etc.). Music was also played in palaces and liquor parlors (IV 33.21; V.6.12; X.32; 37.11.4; Vi.10.4). Soulful songs were sung to the accompaniment of instruments, at religious services and in dramas. The warriors fighting on the battlefield were lustily cheered and enthused by stout drum beats; and piercing blow of conches, horns and trumpets. There is also mention of those who took to music as a profession. Besides, there were court (state) sponsored musicians. 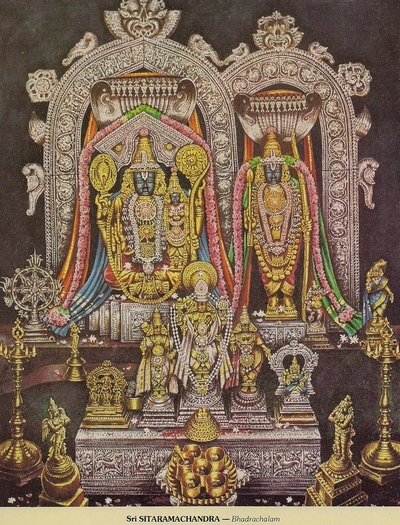 Sundara Kanda mentions that Ravana was fond of music; and music was played in his palace. 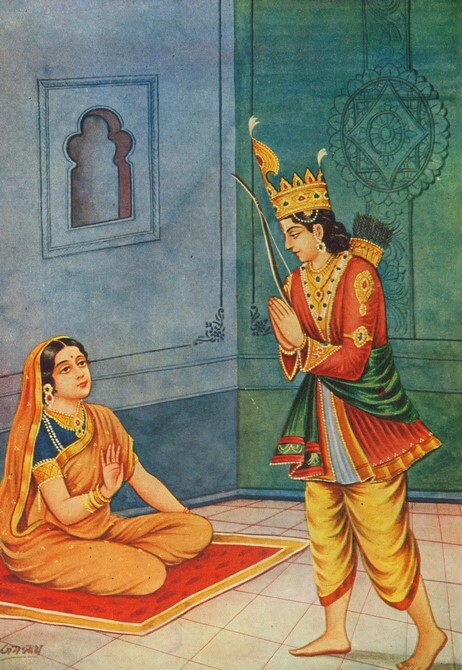 He, in fact, suggests to Sita, she could relax a bit listening to music in his palace, instead sitting tensely under the tree. 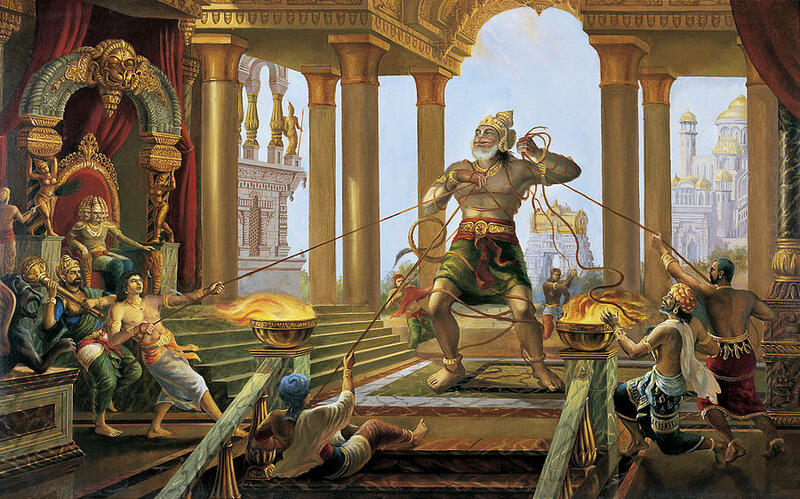 It is said Ravana was a well known player of veena (an instrument played with a bow).He compared the battlefield to a music stage; bow (weapon for firing arrows) to his veena; arrow to his musical bow; and the tumultuous noise of the battle to music (VI: 24:43-44). As mentioned, the music in Valmiki's Ramayana was sung and played for entertainment; it was performed amidst public in celebrations; and it was used by minstrels to sing ballads. The concept of linking music to spiritual development did not appear to be present, then. The music was both vocal and instrumental. The musical instruments, of the time, were categorized, broadly, as those played by hand (hastha_vadya); and as those played by mouth (mukha -vadya) (II.65.2). The string and percussion instruments came under the former category; while the wind instruments were among the latter category. It appears instruments were used mainly as accompaniments, and depended on vocal music. Group music- vocal with instruments –appeared to be popular. Valmiki mentions that Kusha - Lava were well aware of murchhanas  and sthanas; and they also maintained the right laya yathis. He also mentions, their singing was Baddha- well structured- with apt rhythm, tempo and words (I.4.8).Valmiki also says, Kusi- Lava sang in marga tradition (I.4.35); and they employed seven jatis (I.4.8).As regards the words in the lyrics, Valmiki endorses use of sweet sounding words, with simple and light syllables; and advises against harsh words loaded with heavy syllables (IV.33.21). From these statements, one can try inferring the state of music in Vamiki's time. Since Valmiki mentions that Kusha & Lava sang in the marga tradition (I.4.35), we can infer that the distinction between marga and desi systems was in place by then. That is significant. Marga system is highly regarded as the music fit for gods and gandharvas . It is said to have been derived from Sama Veda; and constituted of pada (the textual part of a musical compo­sition as contrasted with the melodic and rhythmic aspects), svara (notes) and tala (rhythm).Marga is rather somber and not quite flexible too. The desi system , on the other hand, derives its inspiration from the folk tradition, adopts itself to the changing demands of the times, is more innovative and is sung mainly for entertainment . 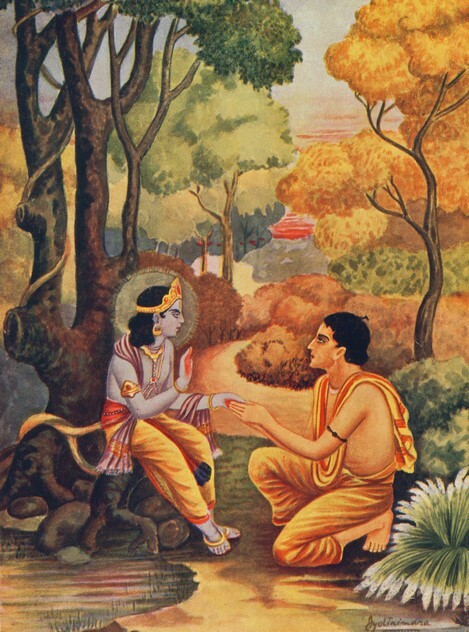 Valmiki suggests that Kusi Lava rendered Ramayana in the pristine music form. Valmiki says the music of Kusha & Lava was baddha, structured into stanzas with laya (rhythm) and tala (beats or rhythmic counter point); just as the kritis and pallavis of the present-day. The music at those times was well ordered and neatly presented in gitas – words set to music and rhythym. Its contrasting style was anibaddha, unstructured and without rhythm; analogous to the present-day aalap, ragamalika, slokas etc. The baddha – anibaddha distinction is observed even today, just as in Valmiki's time. It is said that Kusha & Lava sang in seven jatis, and they were shuddha (pure) jati. That signifies the distinction between the shuddha (pure) and sankara (mixed) jatis was in existence even during Valmiki's time. Jati refers to the classification of musical compositions as per the tones. It means Kusi Lava rendered the verses in several melodies. However, since the raga concept was, then, yet to be evolved, there might not have been much depth and variation in their rendering. Since jatis were mentioned, it can be assumed that the two fundamental tonal systems shadja-grama and Madhya-grama  were also well known. Valmiki mentions, Kusha & Lava were familiar with murchana and sthana ; as also with the rhythmic patterns –laya, yati – in three-speeds. 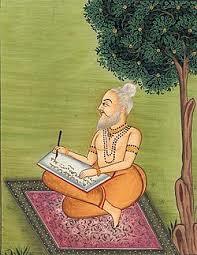 Even with its limitations, Valmiki accorded much importance to music and elements of music in his work. He crafted situations where music could be introduced naturally. More importantly, his verses have a very high lyrical quality and can be rendered in to music quite easily. All these speak of Valmiki's love for music and his aesthetic refinement. 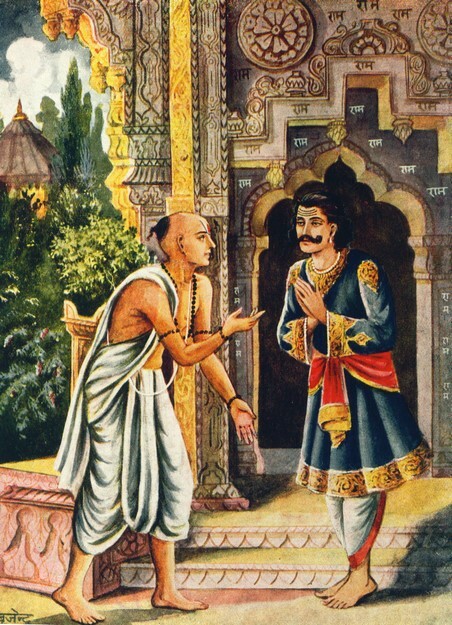 It is not therefore surprising that Abhinavgupta (ca.11th century) hailed Valmiki as Rasa Rishi one who created an almost perfect epic poem adorned with the poetic virtues of Rasa, soundarya (beauty of poetic imagery) and vishadya (lucid expression and comfortable communication with the reader); all charged and brought to life by prathibha , the ever fresh intuition.